With ACM, Music Row, ACCA and AIMP Awards already awarded, and two CMA nominations for the upcoming 50th CMA Awards in November in both the Vocal Group of the Year and Best New Artist categories, today Old Dominion earned their first American Music Awards nomination for Favorite Duo or Group – Country. 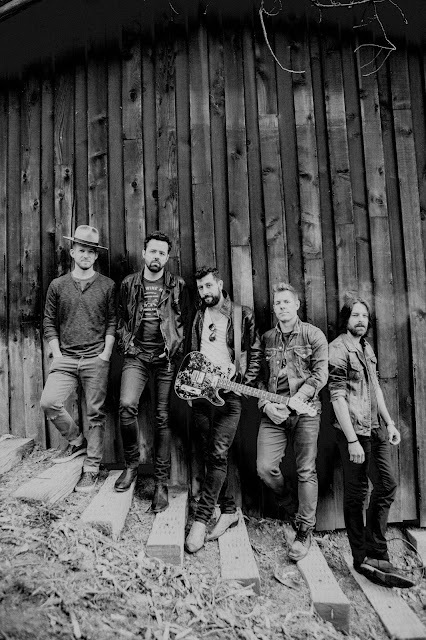 "Being nominated for an American Music Award somehow makes it seem like there are more people that know about us than we think," said Old Dominion's lead singer, Matthew Ramsey. "The groups we are nominated alongside are huge acts with a lot of fans outside of the country market. To be named in the same sentence as them really shines a light on the growth we've seen over the past year. We are beyond proud!" The road-built band is currently headlining their 2016 Meat and Candy Fall Tour with upcoming stops in New York (Playstation Theater, Oct. 22), Chicago (Joe’s Live Rosemont, Nov. 22-23), Los Angeles (The Novo by Microsoft, Dec. 3) and more. Their third single at Country radio, “Song For Another Time,” which People calls, “their most charming, and certainly their most unique [single], yet,” is the follow up to the Platinum chart-topper “Break Up With Him” and their catchy singalong, “Snapback.” The song focuses on a couple who knows their relationship is coming to an end, but wants to celebrate one last good moment with one another – strung together by song titles that span the genres. “Song For Another Time,” a single Billboard suggests “may have emerged at the perfect moment” is nearing the Top 10 with no signs of slowing down. For more information on Old Dominion and for a full list of tour dates, visit www.olddominionband.com.